Tetsuro Aikawa, president of Mitsubishi Motors Corp (MMC), gave a deep bow of apology at a press conference on Wednesday after admitting his firm had falsified fuel efficiency tests on at least 635,000 vehicles. "MMC conducted testing improperly to present better fuel consumption rates than the actual rates; and that the testing method was also different from the one required by Japanese law," he said. "We express deep apologies to all of our customers and stakeholders for this issue." Aikawa said the company was trusted to run its own fuel economy tests, and that the cars used a lower load weight and optimal tire pressures to cut back on the slowing effects of resistance generated by air and the tires of the vehicle. As a result, up to 10 per cent fuel savings could be achieved. The company has now called in independent investigators to find out what is going on in its testing laboratories and who knew what. The cars in question are all sold in the Japanese domestic market, but MMC is also seeing whether the same dodgy practices were used on cars sold internationally. 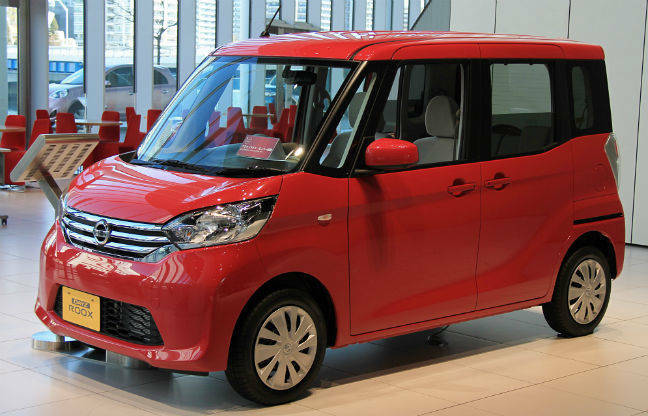 The affected vehicles are kei cars – thrifty commuter vehicles built around a 657cc engine that cost very little, and owners get tax breaks and insurance savings in return. Aikawa said that his company's eK Wagon and eK Space vehicles were fibbing about their figures, as too were the Nissan Dayz and Dayz Roox cars that MMC makes for the fellow Japanese conglomerate. The Nissan Dayz Roox – or what US truck drivers would call "my crumple zone"
It was Nissan that blew the whistle on the scam, after its own fuel-efficiency testing produced very different figures than those coming in from MMC. All sales have now been stopped and negotiations for compensation to Nissan are ongoing. The case echoes the recent case of Volkswagen cheating on its emissions tests, albeit in a slightly more creative way. As in the case of the German car company, the markets have hammered MMC's stock down 15 per cent, wiping over $1bn off its value.